It was Team Korea who opened the scoring as Kim Young-gwon netted from close range in the 92nd minute. Kim’s goal was initially ruled out for offside before the video assistant referee review ensured it was awarded. Germany then desperately tried to respond with a goal of its own, with German goalkeeper Manuel Neuer even leaving his goal to join the attack. Tottenham Hotspur forward Son Heung-min took advantage of Neuer’s position out the penalty area to latch onto a long ball and score into an empty net shortly before the full-time whistle was blown. However, Team Korea’s 2-0 victory in the Group F match in Kazan was not enough for the Taeguk Warriors to progress to the World Cup knockout stage as Sweden defeated Mexico in the other group match. 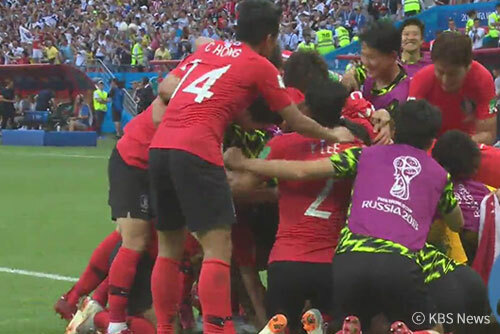 Goalkeeper Cho Hyun-woo was among the stars of the match for Team Korea, as he made several top saves to deny Germany from scoring and secure the historic win. South Korea finished its 2018 Russia World Cup campaign in third spot in Group F with three points following two defeats and one win. Sweden advanced to the last-16 stage as the group’s leader on six points, while Mexico finished in second to also progress. Meanwhile, Koreans living in Mexico have been showered with gifts and discounts from Mexican businesses after the Latin American side’s spot in the round of 16 was secured after Korea defeated Germany. 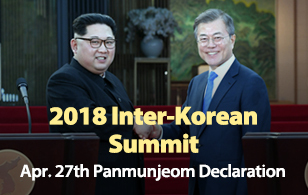 Retailers have even started offering discounts on Korean goods, while Mexico’s biggest airline, Aeromexico, is offering a twenty percent discount on flights to Korea.